Learn All About Bay Area Train Travel! 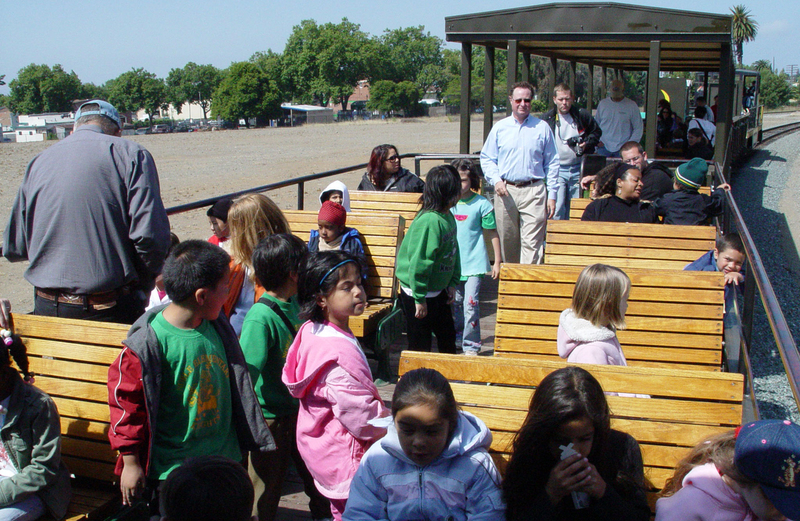 Niles Canyon Railway offers educational train rides to schools, recreation groups, senior centers, families, and anyone who wants to ride during the week. Our docents explain the importance our line played in the development of the Bay Area and the West—from the first trains to present day—as well as railroad safety. These are departure times, so please arrive at least 20-30 minutes earlier. All passengers age 3 and above are $7.00. Reservations can be made online, and you will get your confirmation/invoice by email. Advance payment is requested 30 days prior to your ride, unless prior arrangements have been made. Boarding passes will be in will call at the ticket window. You may arrange for payment on the day of the event with the understanding that payment for all reservations is guaranteed. We request that teachers visit Operation Lifesaver, a railroad safety program sponsored by the railroads. There are coloring pages for young students and word puzzles for older students. On the day of the ride, teachers inform us as to how many students completed a one page activity. We will provide you with a free child trip pass for a regular weekend train operation for these students. We recommend that you staple the pass to their completed page and return to the students. Please inform everyone to NOT walk on top of the rails and NOT cross the tracks until permitted to do so when boarding or disembarking the train. During the trip you may walk from car to car, but no running. Children need to be supervised during the ride. Niles Canyon Railway is operated by the volunteer members of the Pacific Locomotive Association, Inc, a tax-exempt, non-profit IRS 501(c)(3) charitable organization founded in 1961. We are a living museum preserving an era of California’s history on the first transcontinental railroad, and our goal is to preserve this operating heritage railway for future generations to experience and enjoy. Every dollar earned goes towards this effort.